Unless you have an outdoor only cat, a litter box is obviously a must. What kind you should get will depend on several factors. Is your cat naturally messy, or maybe unusually shy? Are there other cats, or just the one? How large is the house, and will you want to have several boxes? 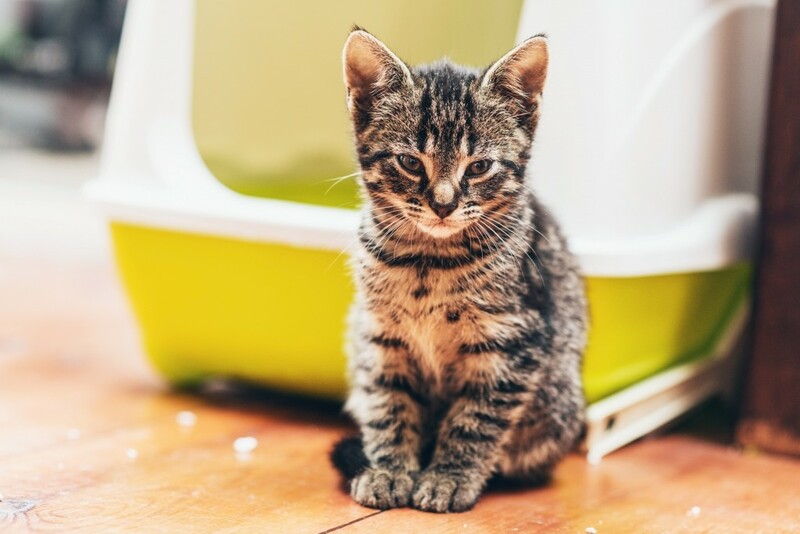 These are some of the questions that you will need to consider when getting a litter box. There are no right answers, nor is there the “best” one. It all depends on what’s best for your cat, your surroundings, and you. If you have a large cat or one that’s a bit messy, you might want to consider getting a large litter box. Your cat will appreciate the roominess of the larger box. That goes without saying, but a larger box isn’t always the best choice. If a larger size is not necessary, then it can become a waste of litter. You want the litter to fill to about 3 or 4 inches. 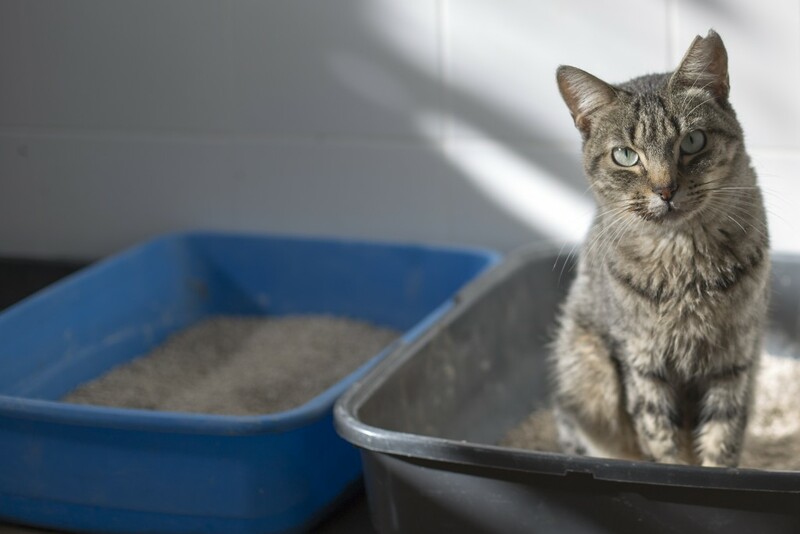 If the litter is too shallow, it may not cover the waste properly, leaving a messy litter box and allowing waste odor to emanate into the air, neither of which is not very pleasant. Cat litter is not cheap, and having to use more of it and then regularly changing it out can get a little expensive. You should never skimp on litter, but you don’t want to needlessly waste it either. You cat might be a little shy and would prefer a little privacy when conducting their business. If so, a covered litter box might seem the way to go. Covered boxes also have the added benefit on containing the litter fragrance, if you will. So, even if your cat isn’t shy at all, what’s not to love about a covered litter box? Ah, but not so fast. There are some downsides as well. For one, just because your cat is shy, that doesn’t mean he wants to crawl inside an enclosure to go to the bathroom. You cat could feel trapped in there, especially if you have other pets in the household. As for the “benefit” of containing the smells? Well, covered boxes trap the smells in there for your cat to endure every time nature calls. After a while, there’s a possibility that your cat will ditch the box for a cleaner, fresher environment – i.e. the rest of your house. Also, covered boxes can be a real hassle to clean. So it’s really up to you, but we suggest go with what’s best for your cat: uncovered. Have more than one cat? Then you should have more than one litter box. Why is that? As we all know, cats are notoriously independent and they prefer to have their own space in order to feel secure. This is especially true when it comes to bathroom time. Even though it means more cleanup, each cat should have their own personal box. It’s also more hygienic and healthy for all concerned, including us humans. Even if you only have one cat, you still might want to have more than one box if your cat has a habit of not using a litter box that he or she has already used and has not been cleaned yet. Some cats can be extremely fussy about cleanliness. Also, if you have a large house, having multiple boxes can be helpful for your cat. Many of us have multiple bathrooms in our homes, why shouldn’t cats? Again, it’s your call. So there you have it, factors to consider when getting a litter box for your feline fur-babies. There isn’t a “one size fits all” or “the best” one. In the end, what’s best for your cat depends very much on your cat’s personality and habits. You will find that the best litter box is the one that will make your cats feel the most comfortable. Regardless of how expensive it is, or the fancy designs and features, and the clever gadgets and gizmos attached to it, if your cat doesn’t like the litter box, they just won’t use it. Then where would we be?